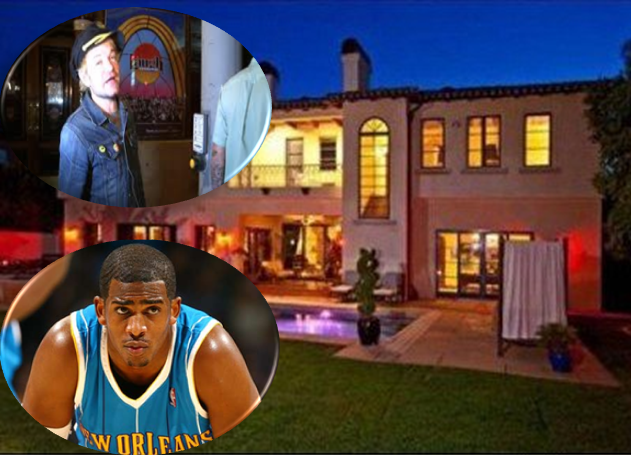 There's a reason L.A. Clippers star Chris Paul got a sick deal on his giant Bel Air mansion -- according to Avril Lavigne's ex-husband Deryck Whibley ... the place has a bad ghost problem. TMZ broke the story ... Avril sold Chris the 8-bedroom palace for $8.5 million -- one million less than her original listing price. But according to Whibley -- who used to live in the house with Avril -- the discount was no coincidence ... telling us, the mansion is "haunted." Color us skeptical -- but the Clippers did lose to the Lakers last night ... coincidence?